Welcome to Sit With Us! 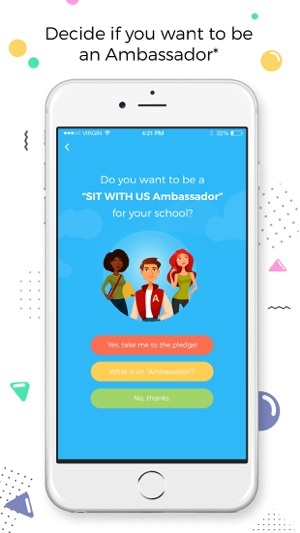 Sit With Us is a social networking app designed to promote kindness and inclusion in schools. 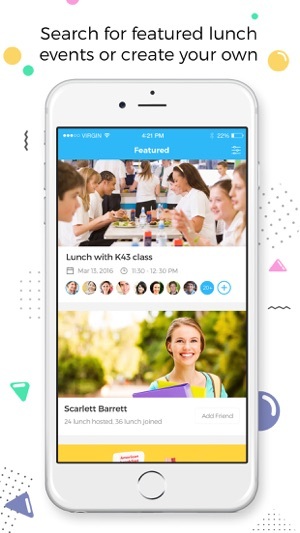 Kids can use the app’s features to coordinate lunches with their friends. They can also volunteer to be Ambassadors for their schools and post open lunch events on campus where everyone will be included. No one needs to eat alone! Sit With Us was designed by a 16 year old girl who was a victim of severe bullying. It was terrible having to eat lunch alone every day, so her goal was to create an app to make sure that no kids felt like they had nowhere to go. So, Sit With Us was created! Inviting others to join the lunch table not only fosters a warmer, more welcome community, but also provides a great opportunity to make new friends. 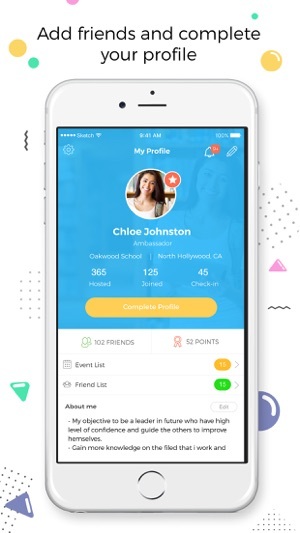 • Create a personal profile, including your interests. • Add friends, including a “favorite” list. • Search for lunches nearby. • Add a lunch and invite your friends to join. • As an Ambassador, host open lunches from time to time that anyone can join. 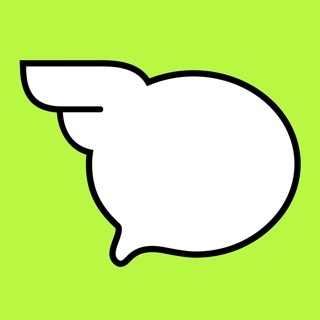 • Send messages to your friends or create group chats. • View your scheduled or past lunches. • Notifications ensure that you won't miss any updates on lunch requests or friend requests. 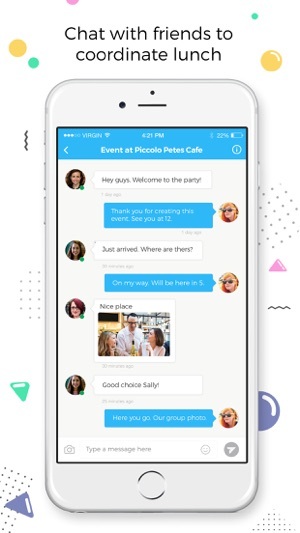 • Message center, where you can see all of your chat history. • Earn points by posting lunch, approving another's request, adding a friend, checking in a lunch, etc. More information is on our website is http://sitwithus.io. We'd like to hear your feedback. Feel free to email your suggestions to nobodyeatsalone@gmail.com. One of the greatest issues I've had in high school is connecting with my classmates-- this is a problem that we have in society, but it gets augmented in schools because of immaturity and clique-culture. 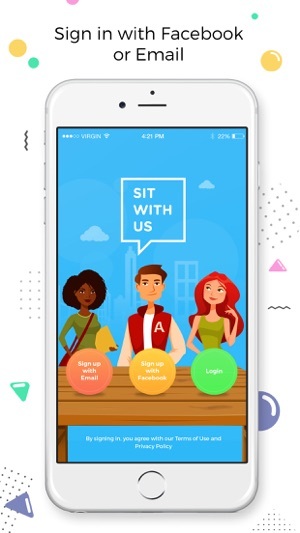 Sit With Us embodies how technology can be used to mend relations and foster connections, because now, I have the opportunity to learn better when I don't have to worry about social pressure. 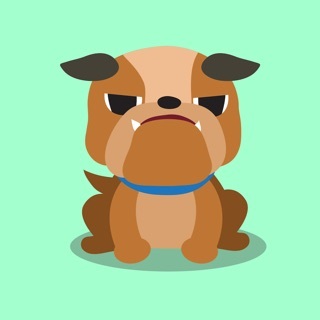 Doing a Be the Change Project for my school and this app has help prevent bullying, and for student ps that feel left out and need someone to talk to. But it needs a bug fixed for the message system. I am trying to message other students but the app lags out and won't allow me to answer other students.